Elstead Lighting Quoizel Inglenook single light small wall fitting features a back plate, curving arm and lantern style frame all in a valiant bronze finish. The product code for this wall fitting is QZ/INGLENOOK2/S. 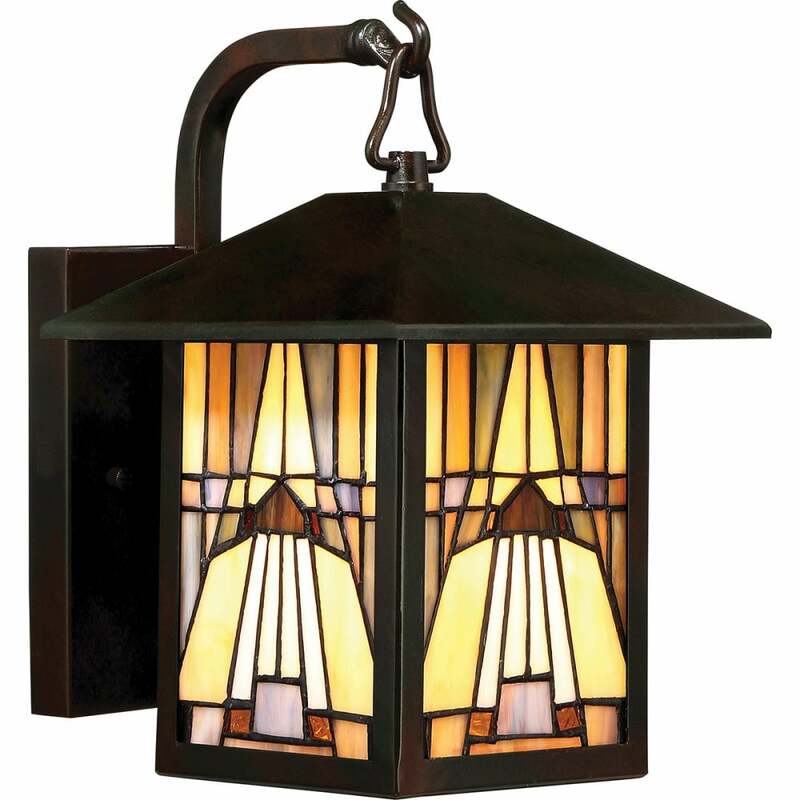 Also available is a medium lantern and a flush ceiling fitting both of which can be purchased via our website.